#YPIA10 - what do you love about YPIA? As you may know, Young People in the Arts turns 10 this September! 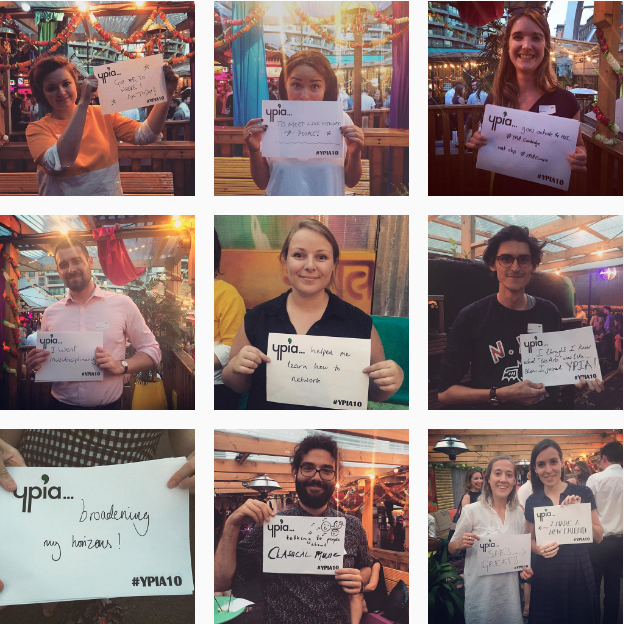 During our Summer Drinks, we asked some of the YPIA'ers to tell us what they love about YPIA - you can see some of the responses on our new instagram page: www.instagram.com/youngpeopleinthearts. We would love to compile more responses from the YPIA network ahead of our 10th anniversary season, from both old and new members. All you need to do is download and print the #YPIA10 PDF here, write your message and take a photo of yourself for Twitter or Instagram using the #YPIA10 hashtag. Remember to check out our Instagram page for some inspiration!